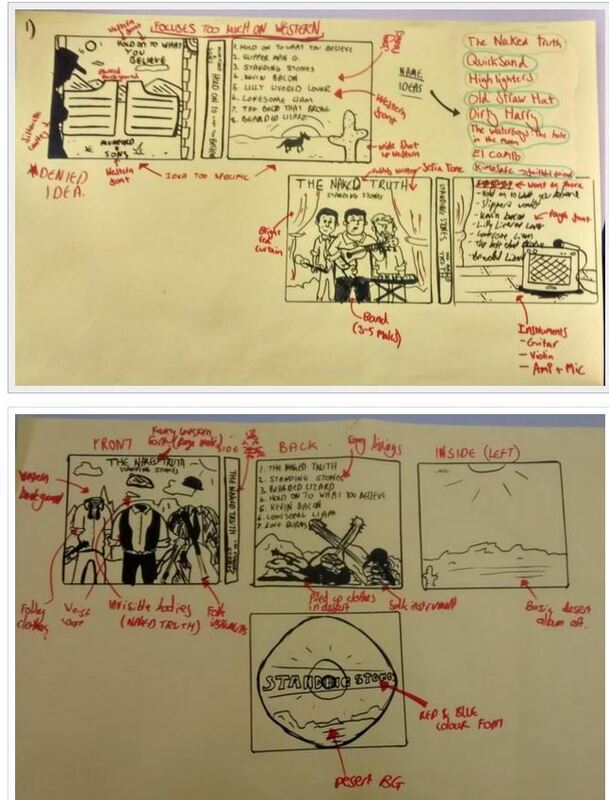 Please use the next lesson(s) to produce a hand drawn mock up of the digipack you are going to make in the next 2 weeks. Collate the best ideas from your moodboards. Drawn, mock-up design of digipak – 4 panes on A3 paper. Annotated with conventional and technical features. 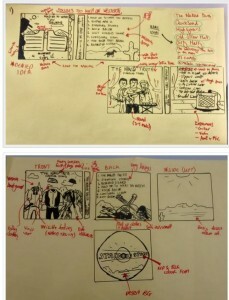 Annotate the designs with the conventional technical elements (barcode, song titles, publisher etc) but also label the designs with how the Media Language of print will help encode the star image and metanarrative of the performer – font, colours, design, graphics, illustration, framing etc. What are the conventional design features for your genre that you will be including? What are you using to encode meaning – what media language will you be employing – font, text, colour, images etc? In your introduction remember to use the terms for genre, star image, encoding, decoding, preferred readings etc. The more you use the terms now, the easier it will be in the exam to talk about the DP in the Concepts section 1b. PDF the design into your blog. This entry was posted in Advanced Portfolio, Audience, Creativity, Digi Pack, Genre, Media Language, Representation, Research & Planning. Bookmark the permalink.